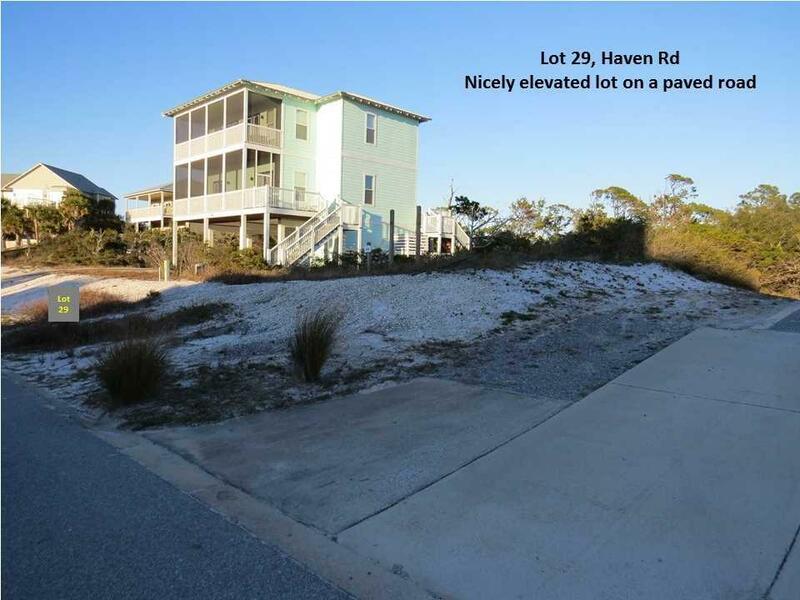 Premium 1st tier lot on the north end of Cape San Blas, in Ocean Haven, lot #29 Haven Rd. No monthly HOA dues saving you $1000s of dollars over the years. The lot is nicely elevated and a great street location, only a few lots away from the beach boardwalk entrance. Only 156 steps to the beach, facing west, with gorgeous sunsets every evening! This lot will provide beautiful Gulf views from the beach house built and is located on a paved road adjacent Seagrass Subdivision, one of Cape San Blas' most desirable & popular subdivisions. "X Flood Zone"- storm surge from Hurricane Michael never reached this high and dry lot. The lot is landward of the CCCL Line - only standard County permitting required, saving you $1000s & lots of time, when you're ready to build. An almost identical lot is available, Lot (#33) on same road.